Quirky, detached Cotswold cottage packed with character, charm and comfort. Built into the hillside with great views and miles of walks, the cottage is equidistant between Cheltenham, capital of the Cotswolds and Winchcombe, a small market town with pubs, restaurants and independent shops, making it ideally located for shopping, sightseeing or solace. 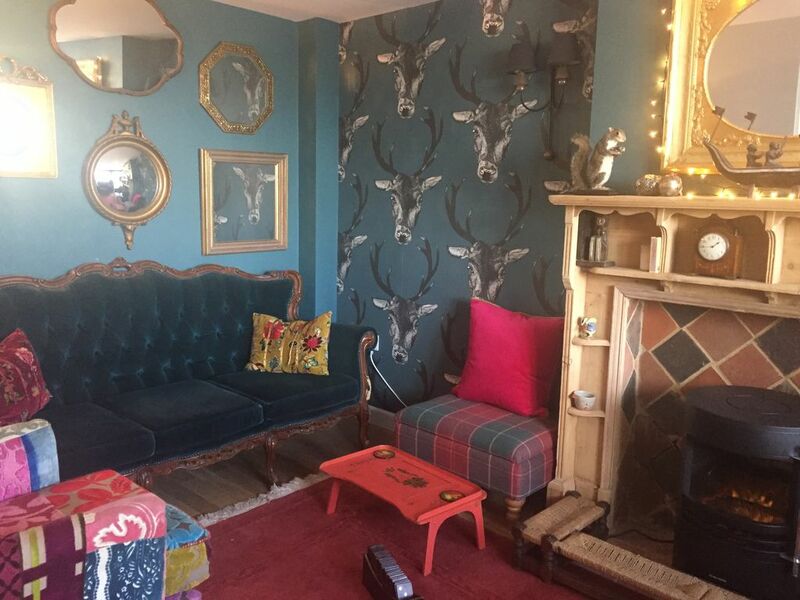 Just 2 miles from Cheltenham Race Course and on the bus route to Broadway this cottage offers all the comforts of a home from home in the country. I live and work in beautiful Port Isaac, Cornwall but return to Lou’s View in the winter to spend time with my family. It’s my home from home and I hope it’ll be yours too. Built into the hill with miles of walks over the Common, literally on the doorstep, the cottage offers comfort, style and charm. Miles of walks available on the doorstep. Full kitchen with all necessary appliances, crockery and utensils.